The iPhone X, 8, 7, 6S, 6, SE, 5, 5C, 5S, 5, 4s, 4, 3GS and 3 that are bought in Brazil are locked to particular carriers. 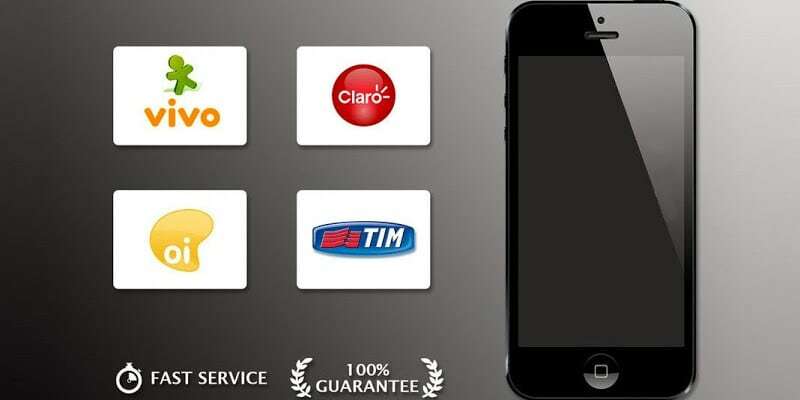 Most of VIVO / TIM / Oi / Claro iPhone from Brazil are locked and though the number might not be as large as locked iPhones on the AT&T network, such devices do exist and therefore it becomes important to find a solution to unlock VIVIO iPhone Brazil. There are valid reasons for pursing this option. For example, after the completion of the process, you can insert any number of SIM cards and enjoy connectivity throughout the world. You also save yourself from roaming charges and the resale value of your iPhone increases. Also, you can update to future basebands and firmware without worrying about the device getting locked, that is if you use a proper method. These are some of the main reasons why people do unlock iPhones, and because it is expensive to purchase a factory unlocked handset, this solution provides an alternative to a SIM-free device; buy a locked phone and get it unlocked through a legit process at an affordable cost. As an example, you can use the IMEI factory unlocking service to unlock any iPhone model on any iOS firmware. This is the method that is being used by millions around the world, and doesn’t require you to go anywhere. Also, it may be possible to get the handset unlocked directly from TIM / VIVO / Claro carrier stores if you run out of contract. Users with jailbroken devices can use the SAM tool for iOS 7 if activation tickets are saved from two years ago. But users without Activation tickets have no other option except factory unlocking. Also, hardware unlocks may be able to unlock, but you may not be able to update to new firmware and basebands. So the official route that can unlock any TIM / Claro / VIVO iPhone any IMEI any firmware any baseband any model is the IMEI method. Go here to unlock your Brazilian iPhone now.